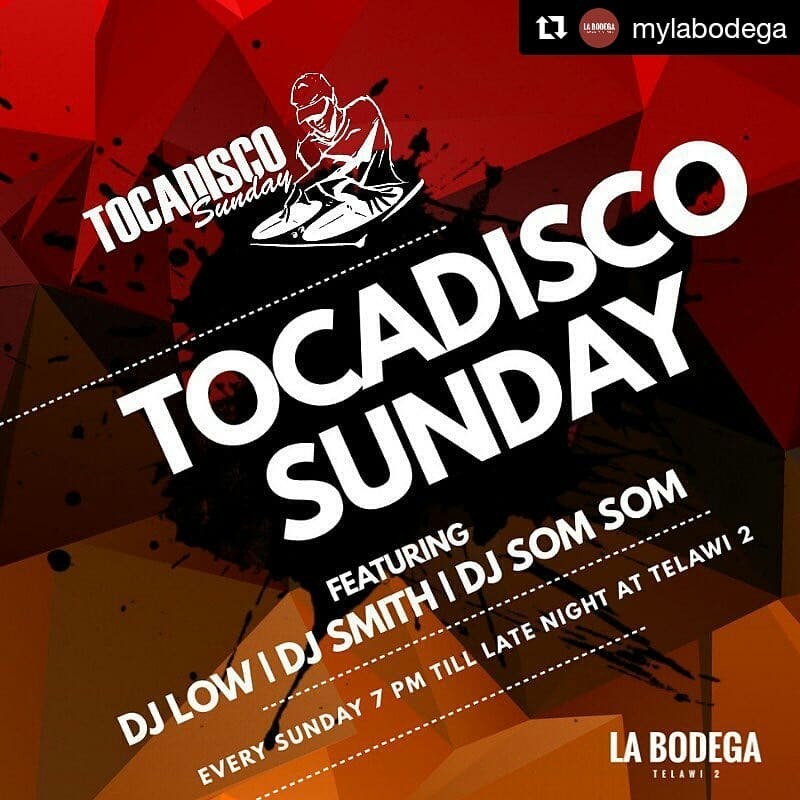 TOCADISCO SUNDAY is a provocative new Sunday evening filled with your all time favourite Funk Soul Classics with DJ Low, plus the good old days of Hip Hop, G-Funk and current greatest hits by DJs Smith & Som Som. Occasionally, with some guest musician , rappers and DJs! Ladies, gather your squad and enjoy a special freeflow of wine and cocktails from 8pm to 12am. Enjoy refreshing glasses of La Bodega’s Red Sangria and Spanish Style Gin Tonic at Happy Hour prices all night long! Dine in, Chill out and Dance! Venue: La Bodega, Telawi 2 Bangsar.